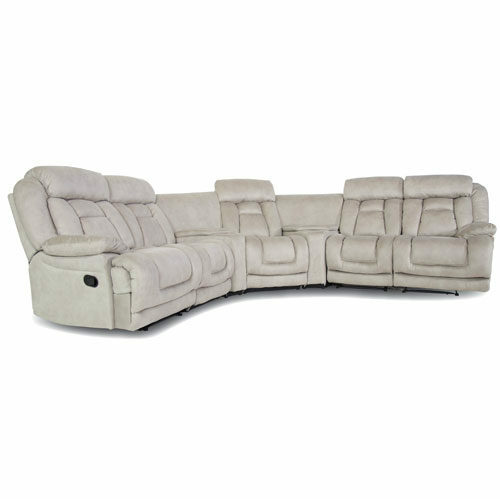 Enjoy the ultimate in living room comfort with this ZOY009 Reclining Corner Suite. Made of top grain palomino suede with a kiln-dried hardwood frame. 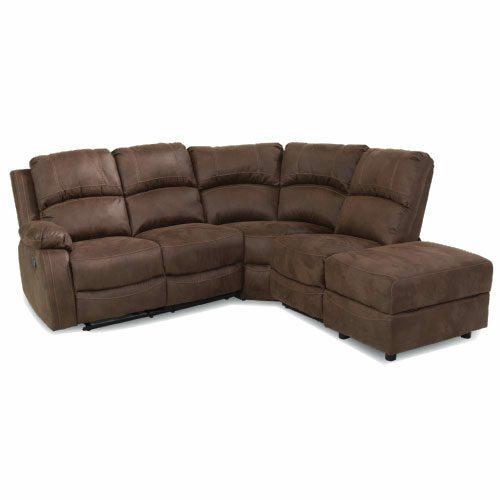 Put your feet up with ease using the manual recliners offered on each end of this corner suite, and bask in the comfort offered by the pocket-coil springs. 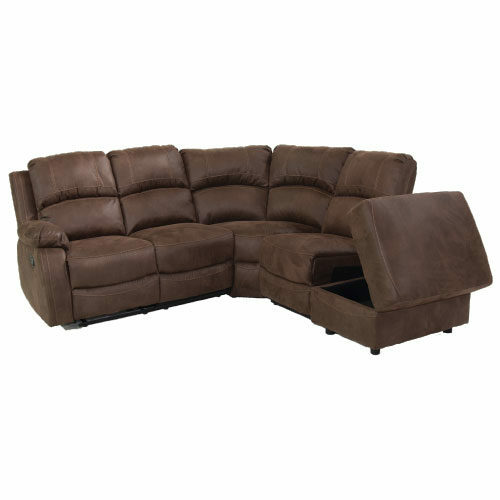 This ZOY009 includes three reclining seats and storage and 2 drink console.